Vervain plant, Verbena officinalis, is also known as European Vervain and Tears of Isis. An alter plant of the ancient Druids. 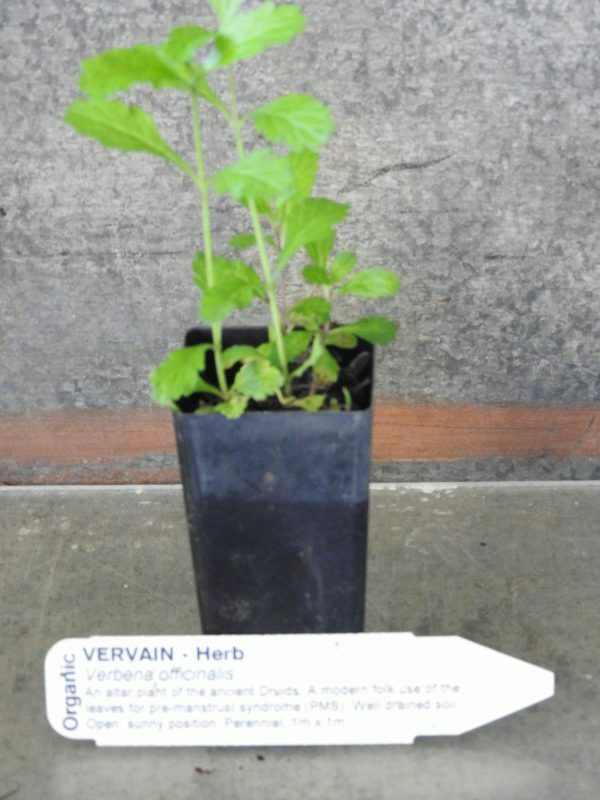 Vervain is often referred to in religious texts and was reportedly used to treat the wounds of Jesus on Mt Calvary. A fever reducing agent and astringent in its action. The leaves and roots are used as a remedy for problems with alcohol. A modern folk use of the leaves as a remedy for pre-menstrual syndrome (PMS). Vervain plant is native to Europe, Asia and north Africa, being adaptable to most well drained soils in an open, sunny position. Flowers are white to purplish appearing in late spring and summer. Frost resistant but drought tender. A perennial plant, growing to 1m x 1m. Be the first to review “Vervain, plant” Click here to cancel reply.